Achieves illumination in wide field of vision at long distances. ● S = wide angle light distribution type, L = narrow-angle light distribution type, in ☐ of the model number. 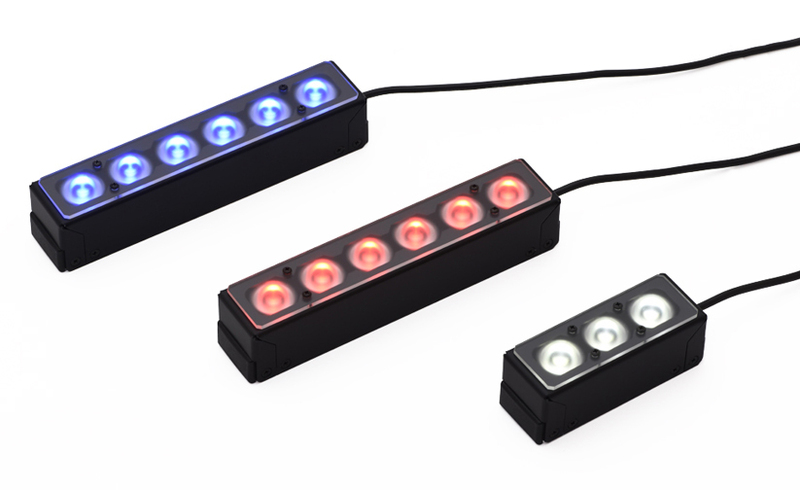 ● Color is in  of model number (R = Red, W = White, B = Blue, G = Green, Y = Yellow, IR-850 = Infrared, UV-400 = Ultraviolet). ● The standard diffusion plate included is 90%. 80% or 60% can be attached as options. ● Can also attach a polarization plate. * SAG is the maximum voltage setting for a SAG power supply. See details here. Please click here for inquiry of other products. For registered customers, please click here to download more information. Please click here to register for membership log-in. © 2009-2019 MYUTRON CO.,LTD All Rights Reserved.